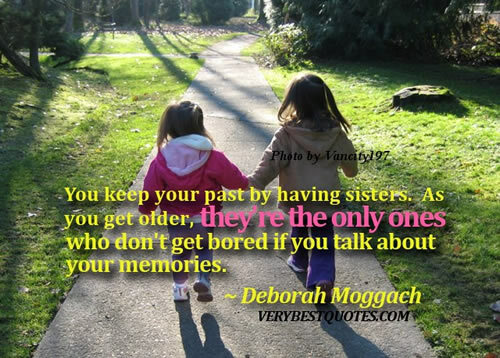 You keep your past by having-sisters. As-you-get-older-they’re-the-only-ones-who-don’t-get-bored-if-you-talk-about-your-memories. share with everyone here ! !